When faced with a diagnosis of celiac disease, people will often ask their doctors how much gluten they are allowed to eat. It's a fair question given that given that the prospect of a gluten-free diet can be a tough concept to wrap your head around. Unfortunately, there's neither an easy answer to the question nor a one-size-fits-all strategy that will work for everyone. In the end, it's not so much about how much gluten you can eat but rather how little it may take to cause ill effects. The simple truth is that some people can get very sick by eating even a tiny amount of regular bread or other gluten-containing foods. Studies over the years have conflicted in what they consider to be "safe" thresholds for gluten intake. 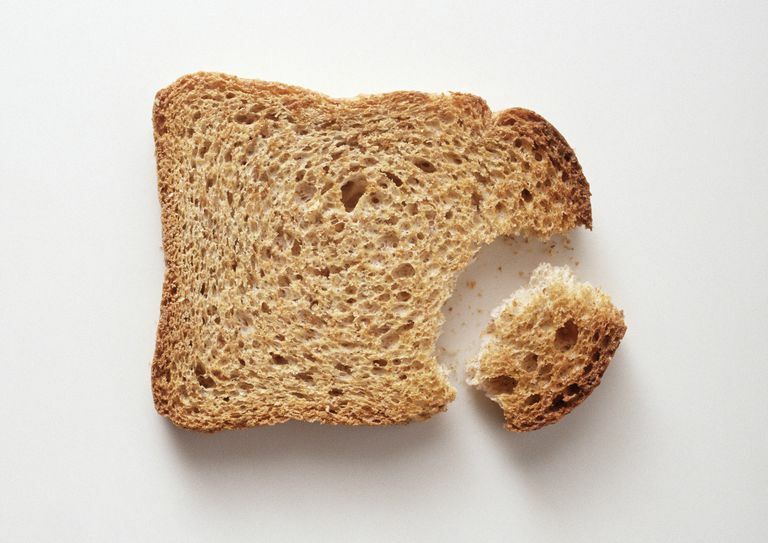 Some have suggested that 625 milligrams per day (roughly one-fifth a slice of bread) is perfectly fine, while others raise the red flag at anything over 10 milligrams per day (1/350th of a slice). But it's not the just the amount of gluten we're concerned about. We're starting to understand that the negative effects of gluten tend to be cumulative in people with celiac disease. Even when intake is as low as 50 milligrams per day (roughly 1/70th a slice of bread), the daily, low-level consumption of gluten was as much associated with intestinal erosion (villous atrophy) as a single, excessive event. A study conducted at the University of Maryland's Center for Celiac Research found that people who consumed 50 milligrams of gluten per day developed villous atrophy after just 90 days. By contrast, those who consume either 10 milligrams or no gluten had no significant changes to their intestinal lining. Based on these findings, one could reasonably assume that the daily intake of 10 milligrams of gluten would likely be enough to avoid illness. And, in most cases, it does. Mostly. Even in the best of circumstances, a "gluten-free" diet is rarely 100 percent without gluten. Gluten cross-contamination is common whether in kitchens or restaurants, and even the U.S Food and Drug Administration (FDA) allows for some gluten in "gluten-free" products. As a result, a person eating a typical, gluten-free diet will consume anywhere between six and 10 milligrams of gluten per day. While that would seem well within the safe zone, it may still be too much for those with extreme gluten intolerance. As part of its own research, the FDA reported that intestinal damage for those with high gluten sensitivity started at only 0.4 milligrams of gluten per day. Moreover, symptoms of gluten intolerance could begin as low as 0.015 milligrams. This suggests that people with this level of intolerance may need to take extreme measures to avoid any traces of gluten in their food and kitchens. Gluten intolerance can vary by the individual. At one end of that spectrum, you have people with the silent celiac disease who can eat almost anything and never get sick. At the other end, there are those who are extremely sensitive to the point where eating becomes more of a challenge than a pleasure. Figuring out what is right for you can be a process of trial-and-error. While it may take time for you and your doctor to find the ideal threshold, your ability to avoid symptoms can prevent many of the longer-term complications of the disease, including the loss of bone mass, gallbladder problems, and pancreatic insufficiency. So try to focus less on what you have to give up and more on what you stand to gain. With patience and diligence, you will eventually find a diet that allows you to enjoy both improved health and a better quality of life overall. Reilly, N. "The Gluten-Free Diet: Recognizing Fact, Fiction, and Fad ." Journal of Pediatrics. 2016; 175:206–210. U.S. Food and Drug Administration. "Health Hazard Assessment for Gluten Exposure in Individuals with Celiac Disease: Determination of Tolerable Daily Intake Levels and Levels of Concern for Gluten." Silver Spring, Maryland; issued May 2011. Are Gluten-Free Foods REALLY More Fattening?